Looking for seriously simple and affordable flash storage? The hybrid flash HPE MSA 2052 Storage system with the new Gen10 ProLiant Branding is designed for affordable application acceleration that is ideal for small and remote office deployments. But do not let the low cost fool you. The HPE MSA 2052 Storage system gives you the combination of simplicity, flexibility to grow now and into the future, and advanced features you may not expect to find in an entry-priced array. Start with 1.6 TB of flash capacity included and scale as needed with any combination of solid state disks (SSD), high-performance enterprise, or lower-cost midline SAS-based drives. HPE MSA Storage has been the industry-leading entry storage Fibre Channel platform for the past eight years, with nearly 500,000 storage systems sold worldwide. Delivering performance in excess of 200,000 IOPS, the hybrid flash MSA 2052 Storage system can save you up to 40% with an all-inclusive software suite and 1.6 TB of flash capacity included. It’s seriously simple and affordable flash storage to help you get the most performance for the lowest cost. • New I/O Workload tools in the User Interface to help users benefit from tiering on the MSA. • Introducing new HPE Storage File Controllers for file services. NOTE: The MSA 2052 is a pre-configured bundle that includes an MSA 2050-branded LFF array chassis, two AC power supplies, two MSA 2050 SAN controllers, two 800GB Mixed Use SSDs, one Advanced Data Services LTU, two .7m PDU cords (IEC C14), and one rack-mount kit. The two 800GB SSDs are shipped integrated in the MSA 2050 array. The Advanced Data Services LTU is shipped with the MSA 2050 array and requires license activation. NOTE: The MSA 2052 is a pre-configured bundle that includes an MSA 2050-branded SFF array chassis, two AC power supplies, two MSA 2050 SAN controllers, two 800GB Mixed Use SSDs, one Advanced Data Services LTU, two .7m PDU cords (IEC C14), and one rack-mount kit. The two 800GB SSDs are shipped integrated in the MSA 2050 array. The Advanced Data Services LTU is shipped with the MSA 2050 array and requires license activation. NOTE: The MSA 2052 is a pre-configured bundle that includes an MSA 2050-branded LFF array chassis, two AC power supplies, two MSA 2050 SAS controllers, two 800GB Mixed Use SSDs, one Advanced Data Services LTU, two .7m PDU cords (IEC C14), and one rack-mount kit. The two 800GB SSDs are shipped integrated in the MSA 2050 array. The Advanced Data Services LTU is shipped with the MSA 2050 array and requires license activation. NOTE: SFPs are not required for SAS Storage systems. NOTE: The MSA 2052 is a pre-configured bundle that includes an MSA 2050-branded SFF array chassis, two AC power supplies, two MSA 2050 SAS controllers, two 800GB Mixed Use SSDs, one Advanced Data Services LTU, two .7m PDU cords (IEC C14), and one rack-mount kit. The two 800GB SSDs are shipped integrated in the MSA 2050 array. The Advanced Data Services LTU is shipped with the MSA 2050 array and requires license activation. The HPE MSA 2052 Storage systems are ENERGY STAR certified. ENERGY STAR certified products are energy efficient which result in cost savings via reduced energy consumption and regulatory rebates. Please refer to the US EPA website for details on ENERGY STAR certification criteria and process. MSA 2052 ENERGY STAR Certification is listed on the EPA website. The HPE MSA 2052 Storage system does not offer a NEBS certified carrier-grade bundled solution. Refer to the MSA 2050 QuickSpecs on how to configure and order carrier-grade components. 8 GB cache per controller. · The two 800GB SSDs can be optionally deployed either as read cache, or as an SSD virtual disk group for tiered storage. - Deploy the two embedded SSDs as Read Cache to improve random read performance. A maximum of 2 SSD’s are supported per pool providing a maximum of 4TB of read cache per controller, max 8TB of read cache per array. - Deploy the two embedded SSDs as tiered storage. The MSA 2052 can manage up to three tiers of storage: Performance tier, Standard tier and Archive tier. - The Performance Auto Tiering License necessary to create a SSD virtual disk group for both read and write capabilities comes standard with all MSA 2052 models. No additional software license purchase is necessary. The two 800GB SSDs are shipped integrated (pre-installed) in the array chassis. All MSA 2052 models come standard with the Advanced Data Services (ADS) Software Suite LTU, which includes automatic tiering, 512 snapshots, and remote snaps for remote replication. The Advanced Data Services LTU requires license activation. Storage Management Utility V3 (SMU). This new MSA management GUI brings a new modern look and feel to array management. Thin Provisioning allows storage allocation of physical storage resources only once they are consumed by an application. Thin Provisioning also allows over-provisioning of physical storage pool resources allowing ease of growth for volumes without predicting storage capacity upfront. All models feature a wide variety of drives: High-performance SSD drives, enterprise-class SAS, and SAS Midline drives. The MSA 2052 will support a maximum of 7 disk enclosures (either LFF and/or SFF). Add-on enclosures can either be HPE MSA 2050 LFF Disk Enclosure or HPE MSA 2050 SFF Disk Enclosure. The MSA 2050 can grow incrementally to a maximum of 96 LFF, 192 SFF drives, or a combination of SFF and LFF enclosures up to the maximum of 8 total enclosures. Virtual Storage Disks Groups can be spanned across multiple enclosures. Virtual Storage RAID levels supported; 1, 5, 6, 10. Maximum hard drive counts vary by RAID levels: 2 drive max for RAID level 1; max of 16 drives for RAID levels 5, 6, and 10. Multiple Disk Groups can be aggregated into a single Storage Pool. Storage Pools allow data on a given LUN to span across all drives in a pool. When capacity is added to a system, the user is also getting a performance benefit of the additional spindles. Snapshot enhancements for virtual storage, including performance improvements, hierarchical snapshots, and simplified resource management. Administrators can monitor and optionally control snapshot space usage. Customers can configure 512 TiB capacity per virtual pool by enabling large pool support. Non-disruptive on-line controller code upgrade. Requires Multi-pathing software. Upgradable by design. Owners of an MSA 2040, MSA 2042 and MSA 1040 array are able to do data-in-place upgrades to the new MSA 2052 array. This unique ability protects the earlier investments in drives, and JBODs. StoreEasy 3850 Gateway support for block and file storage. The HPE MSA 2052 Storage is the ideal solution for customers running Oracle, Microsoft, SAP environments and those customers who are deploying virtual server technologies like VMware and Hyper-V. The MSA 2052 delivers enterprise functionality that enhances virtual environments, simplifies management, and reduces costs. Easy to deploy, scale and maintain, HPE MSA 2052 Arrays ensure that crucial business data remains available. Hewlett Packard Enterprise has developed best-in-class expertise in Oracle, Microsoft, SAP, and Virtualization Hypervisor technology through extensive testing with the HPE MSA 2052, HPE servers, and management software; high availability and disaster recovery solutions; and backup and recovery on the Oracle, Microsoft, and SAP application platforms. To learn more about specific HPE Storage Solutions that are built with Oracle, Microsoft, SAP and Virtualization environments in mind, visit the solution sites supporting each of these applications. The MSA 2052 is a pre-configured bundle that includes an MSA 2050-branded LFF or SFF array chassis depending on model, two AC power supplies, two MSA 2050 SAN or SAS controllers, two 800GB Mixed Use SSDs, one Advanced Data Services LTU. The two 800GB SSDs are shipped integrated in the MSA 2050 array. The Advanced Data Services LTU is shipped with the MSA 2050 array and requires license activation. MSA 2052 SAN controller supports 8Gb FC, 16Gb FC, 1GbE iSCSI or 10GbE iSCSI host connectivity. .
MSA 2052 SAS controller supports 12Gb host connectivity. . NOTE: The MSA 2052 does not support single controller configurations. Single-controller support is provided only when a controller fails over to its partner controller. The MSA 2052 SAN or SAS Storage systems support both the MSA 3.5-inch LFF drives, and the MSA 2.5-inch SFF drives. · Solid State Drives (SSDs) deliver exceptional performance for applications requiring high random read IOPs performance. · Serial Attached SCSI (SAS) enterprise-class drives are designed for high demand, 24x7 usage. · SAS Midline drives are usually reserved for archival of data as they are relatively inexpensive and are available in very large capacities. Just as the user has a choice of chassis for the array enclosure (LFF or SFF drive bays), they also have a choice of expansion disk enclosures accommodating either drive size. Both the MSA 2050 LFF Disk Enclosure and MSA 2050 SFF Disk Enclosure can be hot-added to an operating array. SFF and LFF Array enclosures and Disk Enclosures can be mixed without limitations. MSA 2050 LFF Disk Enclosure. This 2U enclosure is designed to support twelve HPE Storage LFF drives and accepts MSA dual-ported 12Gb SSD, Enterprise SAS, and SAS MidLine (MDL) hard drives. The pre-configured MSA 2050 LFF Disk Enclosure has two I/O modules and supports the MSA 2052 dual controller arrays. • The MSA 2050 LFF Disk Enclosure can be attached to the MSA 2052 LFF or SFF storage models. • Each MSA 2050 LFF Disk Enclosure ships standard with two .5m mini-SAS to mini-SAS cables for connection to the MSA 2052 array expansion port or existing disk enclosure cascade port. HPE MSA 2050 SFF Disk Enclosure This 2U enclosure is designed to support twenty four HPE Storage 2.5-inch SFF drives and accepts MSA dual ported 12Gb SSD, Enterprise SAS, or SAS MidLine (MDL) hard drives. The pre-configured MSA 2050 SFF Disk Enclosure has two I/O modules and supports the MSA 2052 dual controller arrays. • Each MSA 2050 SFF Disk Enclosure ships standard with a two .5m mini-SAS to mini-SAS cables for connection to the MSA 2052 array expansion port or existing disk enclosure cascade port. • LFF and/or SFF Disk Enclosures can be mixed up to the maximum of 7 total Disk Enclosures. The MSA 2052 array configurations are designed to allow an installation to begin with smaller capacity and be able to grow gradually as needed. The flexibility of SSD, Enterprise SAS or SAS MidLine (MDL) drives technology, form factors, sizes, speeds, and costs per GB allows a system to easily fit in almost any budget. Large Form Factor configurations can scale up to 144TB SAS MDL per array enclosure, expandable to 1152TB SAS MDL with the addition of a maximum of seven MSA 2050 LFF Disk Enclosure. Small Form Factor configurations can scale up to 76.8 TB SAS SSDs per array enclosure, expandable to 614.4 TB SAS with the addition of a maximum of seven MSA 2050 SFF Disk Enclosure. Users may configure an MSA 2052 SFF array enclosure with MSA 2050 LFF Disk Enclosure. This is an excellent option for a configuration that supports high-speed SFF SSDs or fast SFF enterprise-class SAS drives in the array enclosure, combined with economical LFF drives staged for archival purposes, all in the same array. A Disk Group is a collection of disks in a given redundancy mode (RAID 1, 5, 6, 10). Disk Group RAID level and size can be created based on performance and/or capacity requirements. Multiple Disk Groups can be allocated into a Storage Pool for use with the Virtual Storage features. The MSA 2052 arrays support 512 volumes and up to 512 snapshots in a system. All of these volumes can be mapped to LUNs. Maximum LUN sizes up to 140TB (128 TiB). Thin Provisioning allows the user to create the LUNs independent of the physical storage. Storage Pools are comprised of one or more Disk Groups. A volume’s data on a given LUN can now span all disk drives in a pool. When capacity is added to a system, users will benefit from the performance of all spindles in that pool. The MSA 2052 supports large, flexible Volumes with sizes up to 128TiB and facilitates seamless capacity expansion. As volumes are expanded data automatically reflows to balance capacity utilization on all drives. The performance figures provided here are for reference as many variables exist between array configurations, workloads, hard drive types, disk group setup parameters and host system setup. Hewlett Packard Enterprise has traditionally published a set of end-to-end MSA performance specifications that are fed into HPE Sizer tools which are based on conservative real-world configurations. These end-to-end performance numbers are subject to change without notice. 1 Performance results were generated using internal HPE test tools. Number and type of applications, drive type and number of drives, operating system used, and the number of hosts will affect overall performance. This table is provided strictly as a test-lab comparison. 2 Dual Controller configuration, (8) 400GB Mixed Use SSDs, RAID: 1, two drives per Disk Group; two Disk Groups per Pool, 2 volumes per Pool, block size: 8k, average latency under 5ms, Windows Server 2012 host, 16Gb FC direct connect to array. 3 Dual Controller configuration, (72) 15k HDD, RAID: 5, nine drives per Disk Group, 4 Disk Groups per Pool, 32 volumes per Pool, block size: 256k, average latency under 30ms, Windows Server 2012 host, 16Gb FC direct connect to array. 4 Sequential performance numbers were generated using segmented sequential workloads. For segmented sequential workloads with a queue depth greater than 1, each sequential stream is targeted to operate on a separate LBA range. Other types of sequential workloads that target specific LBA ranges may achieve higher results. MSA 2050 RAID 10 Performance Results 3,4,5,11 ** NOTE: RAID 1 was used for SSD testing. NOTE: Number and type of applications, drive type and number of drives, operating system used, and the number of hosts will affect overall performance. This table is provided strictly as a test-lab comparison. These numbers reflect a full array configuration with the maximum number of front-end ports and controllers. The test results shown for the HPE MSA 2050 are designed to give a conservative reference point for comparisons. 1. Sequential tests (MB/s) are based on 256K block sizes and random tests (IOPS) are based on 8K block sizes run against the storage. For sequential workloads with a queue depth greater than 1, each sequential stream is targeted to operate on a separate LBA range. Other types of sequential workloads that target specific LBA ranges may achieve higher results. Results cannot be expected with a single host. 2. Fibre Channel results were measured using 16 Gb FC Host Bus Adapters. SAS results were measured using 12 Gb SAS Host Bus Adapters. 10 GbE iSCSI results were measured using 10GbE iSCSI Host Bus Adapters. 1 GbE iSCSI results were measured using 1GbE network interface controllers (NICs). Hosts were directly attached to the HPE MSA 2050 array. 3. MSA 2050 RAID 10 Hard Disk Drive (HDD) random results: Dual Controller configuration, (192) 15K HDD, 12 drives per disk group, 8 disk groups per pool, 8 volumes per pool. 4. MSA 2040 RAID 10 Hard Disk Drive (HDD) sequential read results: Dual Controller configuration, (96) 15K SAS HDDs, 12 drives per disk group, 4 disk groups per pool, 4 volumes per pool. 5. MSA 2040 RAID 10 Hard Disk Drive (HDD) sequential write results: Dual Controller configuration, (48) 15K SAS HDDs, 12 drives per disk group, 2 disk groups per pool, 4 volumes per pool. 6. MSA 2050 RAID 5 Hard Disk Drive (HDD) random results: Dual Controller configuration, (180) 15K HDD, 9 drives per disk group, 10 disk groups per pool, 10 volumes per pool. 7. MSA 2050 RAID 5 Hard Disk Drive (HDD) sequential results: Dual Controller configuration, (72) 15K HDD, 9 drives per disk group, 4 disk groups per pool, 4 volumes per pool. 8. MSA 2050 RAID 6 Hard Disk Drive (HDD) random results: Dual Controller configuration, (180) 15K HDD, 10 drives per disk group, 9 disk groups per pool, 9 volumes per pool. 9. MSA 2050 RAID 6 Hard Disk Drive (HDD) sequential read results: Dual Controller configuration, (80) 15K HDD, 10 drives per disk group, 4 disk groups per pool, 4 volumes per pool. 10. MSA 2050 RAID 6 Hard Disk Drive (HDD) sequential write results: Dual Controller configuration, (40) 15K HDD, 10 drives per disk group, 2 disk groups per pool, 4 volumes per pool. 11. MSA 2050 RAID 1 Solid State Drives (SSD) results: Dual Controller configuration, (8) SSDs, 2 SSDs per disk group, 2 disk groups per pool, 4 volumes per pool. 12. MSA 2050 RAID 5 Solid State Drives (SSD) results: Dual Controller configuration, (6) SSDs, 3 SSDs per disk group, 1 disk group per pool, 4 volumes per pool. 13. MSA 2050 RAID 6 Solid State Drives (SSD) results: Dual Controller configuration, (8) SSDs, 4 SSDs per disk group, 1 disk group per pool, 4 volumes per pool. Management access, out-of-band, Storage Management Utility (SMU), CLI. Interface Types: USB 100/1000 Ethernet. The MSA 2052 arrays come integrated with web browser and CLI based software for storage and RAID management, setup, configuration, and troubleshooting. The MSA 2052 management supports Microsoft Internet Explorer, Mozilla Firefox, and Google Chrome. All MSA 2052 models support hot plug expansion and replacement of redundant controllers, enclosures, fans, power supplies, and I/O modules for simple, fast installation and maintenance. Hot add expansion of disk enclosures is also supported. The MSA 2052 supports most multi-vendor industry standard Intel and AMD based (x86) servers. Hewlett Packard Enterprise requires the Third-Party Server to be logged and listed on the Microsoft Windows Server Catalog. · Non-HPE servers will generally be supported if the HPE storage stack is used. This includes supported HPE branded HBAs and drivers, and supported FC switches. - An Archive tier utilizing Midline SAS HDDs. The MSA 2052 supports sub-LUN tiering and automated data movement between tiers. The MSA 2052 automated tiering engine moves data between available tiers based on the access characteristics of that data. Frequently accessed “pages” will migrate to the highest available tier delivering maximum I/O´s to the application. To enable the tiering (data movement) between the Performance tier with SSDs and either of the other tiers, the Advanced Data Services Suite is required. Systems containing only SSDs will not require additional licenses until additional tiers are added. · HPE MSA Remote Snap Software is array based software that provides remote replication on the HPE MSA 2050 array products. MSA Remote Snap is a form of asynchronous replication which consists of replication of block-level data from a volume on a local system to a volume on a second independent system. This second system may be co-located with the first system or may be located at a remote site. · HPE Remote Snap functionality is based on existing Snapshot technology offered by HPE MSA array products. Snapshots are used to track the data to be replicated as well as to determine the differences in data updated on the master volume, minimizing the amount of data to be transferred. · HPE Remote Snap replication technology provides the ability to accomplish key data management and protection capabilities. First, because Remote Snap uses snapshots as the underlying technology it creates multiple local recovery points which can be used for such tasks as to complement daily backups; second, replication provides the ability to access data in a remote site which could be used for dispersed operations; and third but definitely not least important replication allows for business continuance in the event of a failure on the primary site. · In order to perform a replication, a snapshot of the volume to be replicated is taken, creating a point-in-time image of the data. This point-in-time image is then replicated to the destination volume by copying the data represented by the snapshot via a transport medium such as TCP/IP (iSCSI) or Fibre Channel. The amount of data transferred is minimized though the use of snapshots whenever possible. NOTE: One Advanced Data Services Suite License per array is required for replication. For example, if you have two MSA arrays performing replication (from Primary system to Remote System), you will need a total of 2 licenses. · Support of both Ethernet and Fibre Channel interconnects provides flexible options to the application environments. · Flexible architecture allows remote replication between MSA 2052 and MSA 2040 or MSA 1040 arrays using the virtual storage architecture and licensed for Remote Snap. Protects existing investments and enhances business continuity planning objectives. · Snapshot based replication enables both local and remote recovery depending on the need. Snapshot replication isolates problems to a specific point in time which can be selected by the administrator. Additionally snapshot replication supports longer distance replication. · Multiple relationships provide greater storage flexibility and utilization. · 512 Snapshots and Volume Copy integration provides better efficiencies by combining the management and array technologies to create local copies. HPE OneView for VMware vCenter is a component within the HPE OneView plug-in for vCenter. It enables vSphere administrators to quickly obtain context-aware information and manage supported HPE storage devices like the MSA in their VMware vSphere environment directly from within vCenter. This plug-in operates independently of the core HPE OneView product and does not require a license to use. By providing a clear relationship between VM's, datastores and storage, the VMware administrator's productivity increases, as does the ability to ensure quality of service. Roles for administrators can be defined on an individual basis, providing the ability to apply specific permissions for both view and control functions. HPE OneView for VMware vCenter supports mixed array environments including MSA Storage, and other HPE Storage systems including 3PAR Storage, Nimble Storage, StoreVirtual and StoreOnce. .
HPE OneView for MicroSoft System Center provides a comprehensive integration of HPE Storage, HPE Servers, HPE Blade System and HPE Virtual Connect with Microsoft System Center. HPE OneView for System Center enables management and monitoring of HPE MSA Storage running in Microsoft environment with a single pane-of-glass view to events/alerts, capacity and health dashboards and detailed virtual infrastructure information. It integrates seamlessly with Microsoft System Center Operations Manager (SCOM). It provides seamless integration with Microsoft System Center Operations Manager (SCOM) enabling predefined discovery and monitoring policies, event processing rules and topology views for HPE Storage including the MSA Storage Systems. LDAP (Lightweight Directory Access Protocol) is an industry standard application protocol for accessing and maintaining distributed directory information services over an IP network. LDAP provides the ability to authenticate MSA users with a central directory. A new user interface element called “I/O Workload” has been added to the main screen on MSA’s WBI home screen for GL270 or later firmware. The MSA array controllers keep track of a substantial amount of data pertaining to the I/O dynamics at a logical page level (4MB chunks). From this data, it is possible to provide some visibility to what percent (%) of I/O’s are being processed by what percent (%) of the overall array’s capacity across a 7 day timeline. While some workloads have “transient” data access patterns, many workloads have steady access patterns on small portions of the array’s capacity. This produces “hot” pages in the array which remain hot a large amount of the array’s uptime. Users would see substantial benefits if these pages could be served from the fastest media in the array (ideally SSDs). As has been described in the MSA’s tiering functionality, the MSA array’s tiering engine will work to position the hottest pages on the fastest media at any given time. The new I/O Workload graph will show a line labeled Capacity and a line plot for each selected workload percentage (100%, 80%, or Other% value). Below are two examples of user scenarios where the I/O Workload Graph might be useful and how to utilize the data the graph provides. a. Once the MSA array is installed and has had workloads running against it for a week’s time, the I/O Workload data will give a representation of what Capacity is servicing 100% of I/O and 80% of I/O. Users may select a custom % value if desired. In a new installation or in an installation with no SSD tier installed, the 80% line is a reasonable starting point for an SSD tier. Based on SSD RAID settings, customers can then calculate a good starting point with regard to SSD tier sizing based on that week’s workload. While not a hard fast rule, it is a good starting point. These values should also be compared to the Best Practices “rule of thumb” which suggest that 5-15% of the array’s capacity should be SSDs for tiered solutions. a. For arrays running with SSDs installed (tiered or read cache), the I/O Workload graph will have a dotted line which shows the installed SSD capacity. The I/O Workload graphs can be checked periodically to see where the 80% I/O line is with regard to the SSD capacity line. While there are no hard and fast rules which indicate good/bad situations, users can use the graph with other system performance tools to better understand specific dynamics of their installation and the normal dynamics of a system in the day-to-day activities for a specific environment. Interpreting the I/O Workload graphs allow users to strike a balance between the SSD costs versus performance benefits. For example, some customers may be willing to have a couple of days where peak usage is far above the SSD capacity line as it may be acceptable to have slower performance as the system uses HDDs for a larger percentage of the workload I/O. This may be perfectly acceptable for systems sized to optimize $/TB due to budget constraints. Other users may want to optimize the system such that a sizeable percentage of daily I/O have the opportunity to reside on SSD media (sized to 80% or 90%). When combined with other performance monitoring tools, the new I/O Workload function gives users some representation as to how the workloads and the MSA are working together in a user’s real-world environment. Add optimized, secure, and reliable file services to your MSA 2050 with one or more pre-configured HPE Storage File Controllers. Augmenting an MSA 2050 with a file controller or highly-available file controller cluster creates a unified block/file solution that maximizes your total storage investment. Each HPE Storage File Controller is built on HPE ProLiant DNA and Microsoft Windows Storage Server 2016, and can serve thousands of concurrent users and multiple diverse workloads while providing a straightforward and familiar management experience for IT generalists or storage administrators. The Storage File Controller features an Intel Xeon-Bronze processor with 16GB of memory, redundant power, TPM 2.0, HPE iLO Advanced with a 1-year license, and a 3-year parts/labor/onsite with next business day response warranty. Designed to connect to HPE MSA 1050/2050/2052 arrays and other small SAN environments. Extensive file access protocols support: SMB (2.0, 2.1, 3.0, 3.02 and 3.1.1), NFS (v2, v3, v4.1), WebDAV, HTTP/HTTPS, FTP/FTPS, and iSCSI. Cluster up to eight file controllers for high availability and with transparent failover, enabling continuity of data access in the event of a failure or for online rolling maintenance updates. HPE MSA Storage users can leverage Zerto Virtual Replication to replicate applications and data from one MSA array to another MSA array. Popular use cases include departmental MSA storage replicated to enterprise storage, enterprise storage replicated into MSA array, or protect MSA workloads into the cloud. Zerto operates on the hypervisor level and includes orchestration and automation built-in to enable faster recovery of workloads (RTO in minutes) at much lower Recovery Point Objective (RPO of seconds) available through other data protection tools like backup. Zerto is also a workload mobility tool and allow IT to confidently move workloads and data across heterogeneous storage or cloud. Ordering, configuring and installing Zerto is simple. Zerto is licensed by number of Virtual Machines that are being protected or moved. For mobility use cases, order the appropriate number of migration licenses needed. For replication use cases, order the appropriate quantity of Zerto Virtual Replication licenses using a combination of the tiered licenses plus the corresponding maintenance part numbers. The license is independent of source and target array size, type or capacity being replicated. See the HPE Complete/Zerto Quickspec for a complete list of partnumbers. A corresponding MSA Advanced Data Services LTU is not required for data replication when using Zerto Virtual Replication. An MSA Advanced Data Services LTU would be required if deploying MSA array-based replication. Zerto installs as a virtual machine under VMware or Hyper-V or in the Cloud as a VM in AWS and Azure in minutes Zerto does not install any components in the guest operating system and does not depend on any specific configuration of the storage or use MSA array or VMware snapshots to replicate and recover applications. Zerto virtual replication is available on HPE Catalog via HPE Complete program. Three-year limited warranty, parts exchange Next Business day delivery. 3 Years 9x5 telephone support, with Rights to New Versions bundled with the MSA 2052. Hewlett Packard Enterprise Limited Warranty Statement for more information. The MSA 2052 has been designed with customer self-repairable parts to minimize repair time and provide greater flexibility in performing defective parts replacement. Please refer to Hewlett Packard Enterprise limited warranty Statement and parts replacement instructions for further details. NOTE: The warranty of the hard drive options purchased with the MSA 2052 models is different for SAS hard drives versus SAS MDL. SAS hard drive options have a three year warranty and SAS MDL have a one year warranty. NOTE: Firmware updates beyond the 3 year warranty period requires a support contract. HPE Proactive Care gives customers an enhanced call experience. When your products are connected to HPE, Proactive Care helps prevent problems and maintains IT stability by utilizing personalized proactive reports with recommendations and advice. This Service combines three years’ proactive reporting and advice with our highest level of hardware support; HPE’s 24x7, six hour hardware call-to-repair. HPE is the only leading manufacturer who makes this level of coverage available as a standard service offering for your most valuable servers and storage, including the HPE MSA 2050/2052 Storage. HPE Proactive Care gives customers an enhanced call experience. When your products are connected to HPE, Proactive Care helps prevent problems and maintains IT stability by utilizing personalized proactive reports with recommendations and advice This Service combines three years proactive reporting and advice with our 24x7 coverage, four hour hardware response time when there is a problem. Provides for the basic hardware installation of HPE branded servers, HPE storage including the MSA 2050/2052 devices and networking options to assist you in bringing your new hardware into operation in a timely and professional manner. 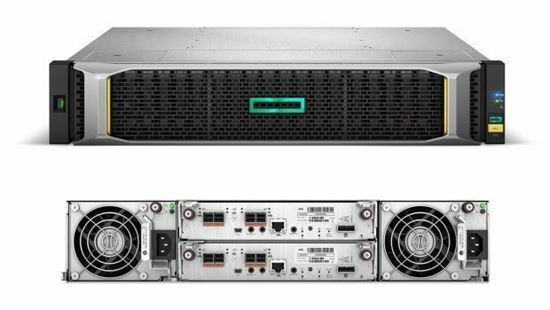 Provides for the installation and startup of HPE technology including BladeSystems, C-Class enclosure, HPE ProLiant c-Class and Integrity server blades, storage blades, SAN switch blades, HPE Virtual Connect modules (Ethernet and Fibre Channel), Ethernet network interconnects, and InfiniBand, as well as the installation of one supported operating system type (Windows® or Linux). Included the HPE MSA 2050/2052. Helps improve IT stability and security, increase the value of IT, and enable agility and innovation. It is a structured framework of repeatable, tested, and globally available services “building blocks.” You can deploy, operate, and evolve your datacenter wherever you are on your IT journey. With HPE Datacenter Care, you benefit from a personalized relationship with HPE via a single point of accountability for HPE and others’ products. With Flexible Capacity, you get the speed, scalability, and economics of the public cloud in the privacy of your data center. Gain the advantages of the public cloud—consumption-based payment, rapid scalability without worrying about capacity constraints. Reduce the “heavy lifting” needed to operate a data center. And retain the advantages that IT provides the business (i.e., control, security). Deliver the right user experience, choose the right technology for the business, manage privacy and compliance, and manage the cost of IT. And, you have the option to use the public cloud when needed. HPE Factory Express offers configuration, customization, integration and deployment services for HPE servers and storage products. Customers can choose how their factory solutions are built, tested, integrated, shipped and deployed. Factory Express offers service packages for simple configuration, racking, installation, complex configuration and design services as well as individual factory services, such as image loading, asset tagging, and custom packaging. HPE products supported through Factory Express include a wide array of servers and storage: HPE Integrity, HPE ProLiant, HPE Apollo, HPE ProLiant Server Blades, HPE BladeSystem, HPE 9000 servers as well as the HPE MSA Storage, HPE 3PAR Storage, HPE XP, rackable tape libraries and configurable network switches. The HPE Support Center is a personalized online support portal with access to information, tools and experts to support HPE business products. Submit support cases online, chat with HPE experts, access support resources or collaborate with peers. MSA SFPs are for use only with MSA 2052 SAN Controllers. MSA SAS controllers do not require SFP modules. MSA 2052 SAN Controllers do not ship with any SFPs. Customer must select at least one of the above SFP options. Each MSA 2052 SAN controller can be configured with 2 or 4 SFPs. For MSA 2052 10Gb iSCSI configuration user can use DAC cables instead of SFPs. Step 3 – Select Your Drives. MSA HDDs and SSDs drives are for use with MSA Storage Systems only. · SAS MDL drives are designed for archival or reference data. · SAS MDL drives should not be used in a heavy or intense I/O environment. · Intense I/O environments require the use of enterprise-class SSD or SAS drives. · Add up to 7 expansion drive enclosures. · MSA 2052 LFF Disk Enclosure can be connected to either the MSA 2052 SFF or LFF dual controller systems. · HPE MSA 2052 SFF Disk Enclosure can be connected to either the MSA 2052 SFF or LFF dual controller systems. · When connecting a MSA 2052 Controller to a drive enclosure if a longer cable is needed or desired. · Two PDU cables: one 142263-008 (Black) and one 1422633-013 (Grey), ship standard with all AC-powered enclosures. NOTE: These cables are used to connect 6Gb SAS initiator to MSA 2050 SAS controller. These are not used for connecting to a disk enclosure. NOTE: These cables are used to connect 12Gb SAS initiator to MSA 2050 SAS controller. These are not used for connecting to a disk enclosure. NOTE: This cable is used to connect 6Gb SAS initiator to MSA 2050 SAS controller. This is not used for connecting to a disk enclosure. The MSA Advanced Data Services Software Suite comes standard on the MSA 2052. No optional software titles are available on the MSA 2052.